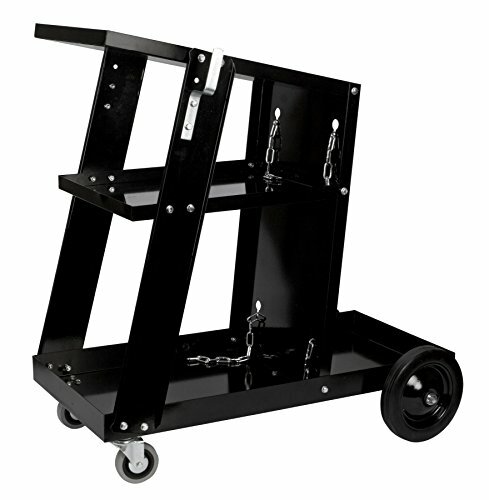 The 7-1/2" back wheels and 3" front swivel castors makes the welding cart very easy to move around. Fits most manufacturers MIG welders and plasma cutters. Two safety chains secure gas tanks when used with a MIG welders. Two additional storage trays for accessories and equipment. Fits most MIG and Plasma machines. All steel construction with durable finish.